If you want to GET BIG you need to LIFT BIG (and eat big). It’s time to hit the gym! This 7 day muscle building workout plan is designed by expert trainer Paul Haslam to help you build serious muscle size. The plan works your body intensively three days a week so your muscles have time to recover and grow between each intense session. For best results follow the suggested sets and reps provided in each of the workouts and lift a weight that challenges you, without compromising technique. If you are completing the reps with ease increase the weight load. 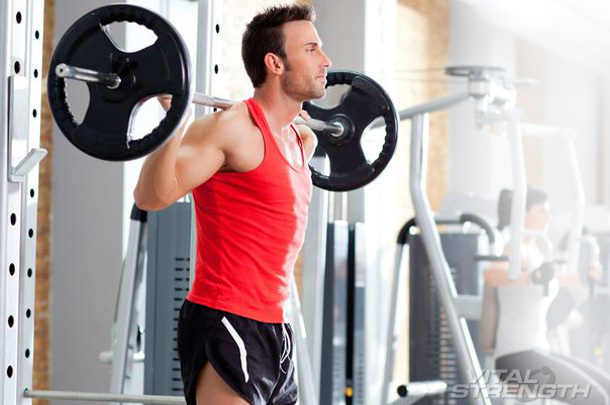 If you are struggling to complete the reps, reduce the weight. Aim to rest for around 35-40sec between sets. Paul recommends training on Monday, Wednesday and Friday with a day of rest following each session but advises that workouts can be spaced to fit your schedule. Start your workout with a ten minute cardio warm up (e.g. treadmill, bike, rower, cross-trainer) to help prevent injury and muscle soreness.